At Qldwreckers, Our best Cash for Cars Brisbane system is Fast, Simple, Convenient and always pays more. Is the financial burden of your old or salvaged vehicle too large to handle? Or maybe you have a rusty piece of junk that no longer serves its purpose. The likelihood is that it is also taking up some valuable space on your property. Whether it is languishing on the lawn, or squatting in your garage, no-one can blame you for wanting to kick that clunker out. But how? Who is going to buy a junk car? 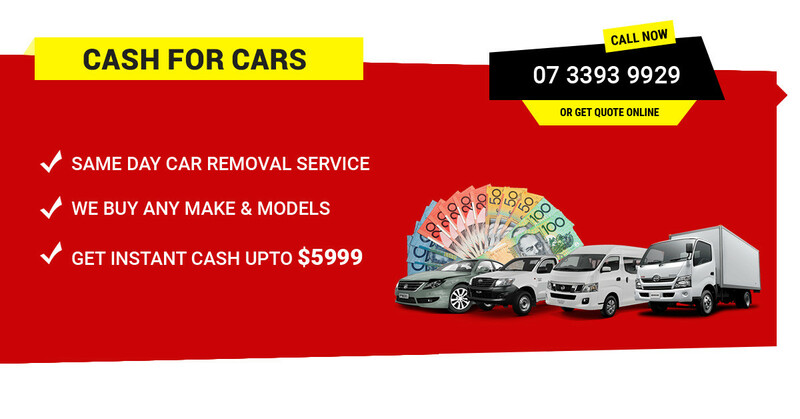 You might be looking for a bother-free and quick auto removal outfit like Qld Car Wreckers Brisbane – the premier cash for cars established in Rocklea, Queensland, AU. Qld Car Dealers buy cars of all ages and conditions in exchange for the most possible cash. This means if your vehicle is unregistered, mobile or immobile, used or new, or has even failed an MOT, you can sell it to us. And you will be taking advantage of the fastest method there is for selling an old vehicle. Additionally, our superb scrap car collection facilities cover all areas in Brisbane as well as its neighbouring suburbs including Toowoomba, Sunshine Coast, Gold Coast, Townsville and Rocklea. If you are wondering “How much money can I make from my old vehicle?”. Give us a call today or check out our website @ www.qldwreckers.com.au. One of our responsive team members will respond to you as quickly as possible. If you don’t have a lot of time on your hands, or you find the expense of repairing and advertising the vehicle for sale is too high, we are the perfect solution for you. When dealing with us the whole selling process will become as simple as counting to five. This is because we take care of everything, whether it’s about providing top-notch Qld auto removal Brisbane services, organizing the paperwork, or paying top cold hard cash on the spot. All you have to do is give a good description of your vehicle. You can do this either by using the easy appraisal form on our web page, or through phone. Our technicians will consider the details and after a short time, provide you with a fair assessment. The moment you accept the offer, we will arrange with you a time and place when we can come over and look at your vehicle. After you accept our final offer, we will then pay you top cash before removing the vehicle. And the car removal won’t cost you a single cent. We want to make sure that you get the most money at the end of the day. And this will not happen if you are forced to pay for a tow truck or similar as part of the process. That is why we provide free removal. Your convenience is the most important thing to us, which is why we provide free removal all over Brisbane, Qld. We are Queensland’s licenced business and registered cash for car service. Aside from offering excellent auto removal benefits at no cost, we also pay handsomely. In fact, you can get up to $10,000 cash, depending on the condition your vehicle is in. We don’t only buy cars either. We buy all types of vehicles, including Cars, trucks, vans, Utes, SUVs & 4WDs. Also, our cash quotes are unbeatable and guaranteed. And if you get a better quote than ours, you are free to tell us. We will definitely match it, and in the process pay you large dollars. All of this is on top of the fact that we offer the fastest way for anyone to sell their vehicle. All of this means that if you are not able to sell your unwanted vehicle for a fair price, don’t procrastinate for even a second more. Get on that phone, or get online, and contact Qld Wreckers today. At Qld Wreckers, we have got an extensive network of proficient auto specialists who will pay good cash for all makes and models, as we don’t specialise. This is why we have an advanced auto buying system, and we never reject any vehicle. Don’t worry about what condition your vehicle is in, as while it will impact the amount of money it is worth, we will buy it regardless. If it has been in a fire, or has received extensive damage as the result of a flood, or even if it has been totalled in a crash. We will buy it. The reason is that no matter what its level of disrepair is. There will be value in any parts that can be salvaged. And there will definitely be salvageable scrap metal that we can take from the vehicle. Our amazing instant cash offers apply to models of all brands. Some cash for clunker services will specialise in only a few select auto makes. Not us. We have an inclusive attitude and will buy any make of vehicle that is offered to us. This is including Ford, Mazda, Toyota, Nissan, BMW, Hyundai, Audi, Dodge, Volkswagen, Mercedes Benz, Lexus, Chrysler, Jeep, Holden, Honda, Subaru, Daewoo, Suzuki, Isuzu, Kia, Chevrolet and many more. Before selling your broken, unregistered, junk, or scrap vehicle. We would encourage you to find out the benefits of selling your wrecked car. You will not regret learning how much money your vehicle will be worth to us. Finally, it is very easy to get an obligation free cash quote from us. You can call us @ (07) 3393 9929 or submit our online inquiry form with one click. Tell us all about the vehicle in question. This includes the make, model and condition. We will get back to you with your free quote in no time at all, and before you know it, your vehicle will be sold! Cash for Cars Brisbane – An intelligent way to sell your unwanted vehicle in Brisbane!